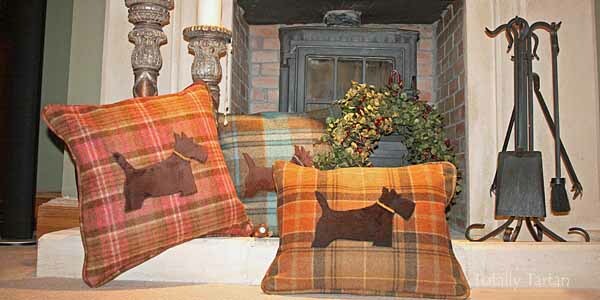 Keeping with the tartan theme and adding a subtle twist of Scottie dog, here's the perfect gift for the dog lover. A tartan cushion cover with the iconic Scottie dog image also created in off white for the loveable Westie. The perfect gift for a dog lover or the statement you've been looking for. When I started searching for new fabrics, I fell in love with these gentle colourful plaids that complement today's vibrant berry and jewel hues. Then when I added the iconic Scottie dog and westie image, I knew I had found a winning combination.